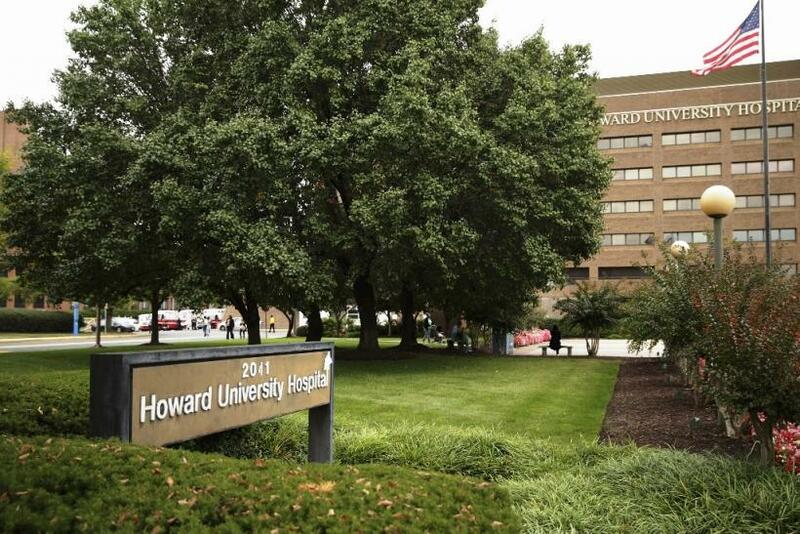 A wheelchair bound female patient who appeared to be dumped by three Howard University security guards last month was “agitated” and refused treatment when she was brought at the university hospital, the president of the Metropolitan Campus Police Officers Union told Washington Post Tuesday. Gabriel Adegoke, the president of the campus officers union told the Post the woman was initially brought to the hospital by ambulance. Officers at the hospital were called in to calm the patient and she allegedly refused treatment, according to Adegoke. She was then discharged and the guards were told to take her out of the hospital, he added. On Tuesday, the university officials terminated two security guards — a man and a woman — and fired the supervisor who ordered the patient to be escorted out of the hospital. The historically black university issued a statement after firing the guards. "Howard University has worked diligently and swiftly to investigate this matter. To date, our findings have resulted in decisive action, including the dismissal of three of the individuals involved. We are continuing with our training efforts to ensure this never happens again," the statement posted on Taylor’s Twitter said. Dr. Shelly McDonald-Pinkett, the hospital's chief medical officer, told ABC7 on May 17: "I've seen the video and it's troubling and tragic. It's horrifying what happened to this particular patient and I could never condone that as a practicing physician or someone who is very concerned about what happens to our patients or people in our community." "We try and treat every patient with respect and dignity. We work with families and community organizations and try and make their transition to home from the hospital as smooth as possible," McDonald-Pinkett said, adding "We try and treat every patient with respect and dignity. We work with Families and Community organizations and try and make their transition to home from the Hospital as smooth as possible." “It depicts procedures that we do not and will never tolerate. … Upon receipt of the video, taken by a bystander, [the hospital] took immediate action and launched a thorough investigation. ... We have already taken necessary actions to ensure an incident such as this never happens again. Those steps include appropriate training and a review of necessary disciplinary actions,” the hospital reportedly said. International Business Times contacted the university seeking further clarification over the incident but had not received a response at the time this report was filed.